How to Build a Drumbone. The drumbone is one variety of PVC pipe instruments made popular by the performance group Blue Man Group. If you're a fan of the Blue Man Group music or just like to play around with musical instruments, a drumbone is an easy way for you to build your own pipe instrument. 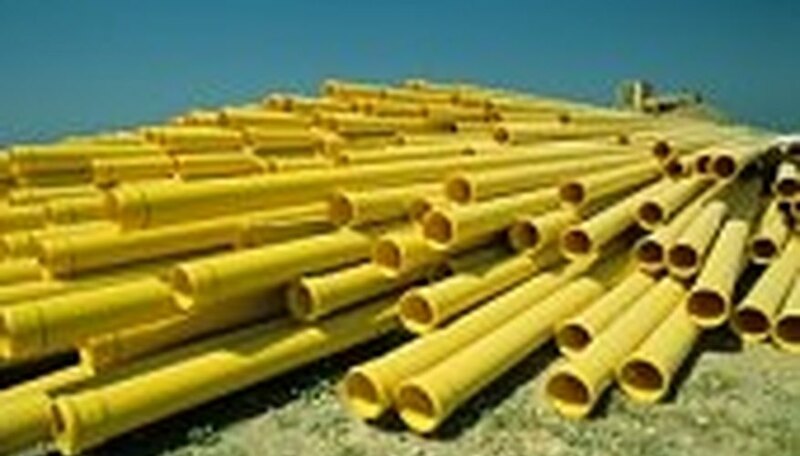 While there are many varieties, the basic parts are just 2 PVC pipes. Cut the 4-inch tube into equal pieces of 2-1/2 feet each. Cut 1 foot off of the 3-inch tube, and cut this piece into four 3-inch long pieces. Cut the rest of the 3-inch tube in half into 2 equal pieces of 2-1/2 feet each. Use the short PVC pipe pieces to construct 2 "U"s with the elbows. These are basically just for show to create the well-known look of the drumbone, so you can have them pointing in any direction when you connect them to the large pieces but may want to consult a picture to make it look like the original drumbone model. Use the reducer coupler to affix one of the "U"s to one 4-inch piece of tube. This tube will have a 3-inch diameter piece fitted inside of it for the "slide" of the drumbone. On the other end of the same U-segment, affix a large section of the 3-inch pipe and fit another large section of the 4-inch pipe over it. This can either be screwed or taped in place, or left to serve as another "slide." Build the other half of the drumbone by affixing the other "U" segment to a large piece of the 3-inch diameter pipe. You can add more pipe with couplers to the end of the "U" segment for show or to drum on. Fit the horizontal 3-inch diameter pipe into the horizontal 4-inch diameter pipe. Slide them in and out and drum various places on the pipe to produce different pitches. You can tune your drumbone or just experiment.